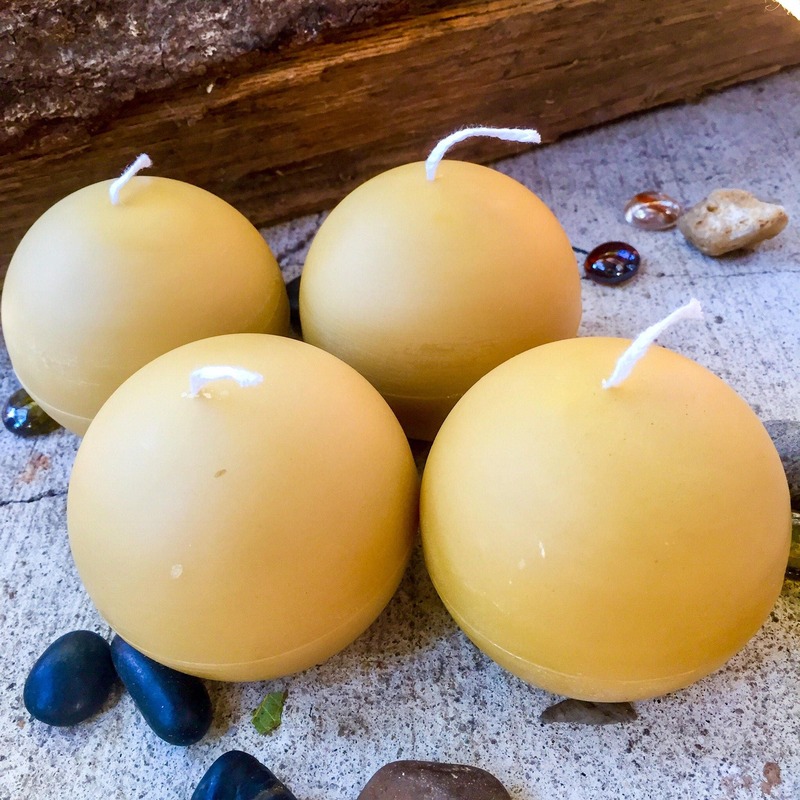 These unique sphere beeswax candles will add elegance with it's shape and a rustic natural feel with the 100% pure beeswax. 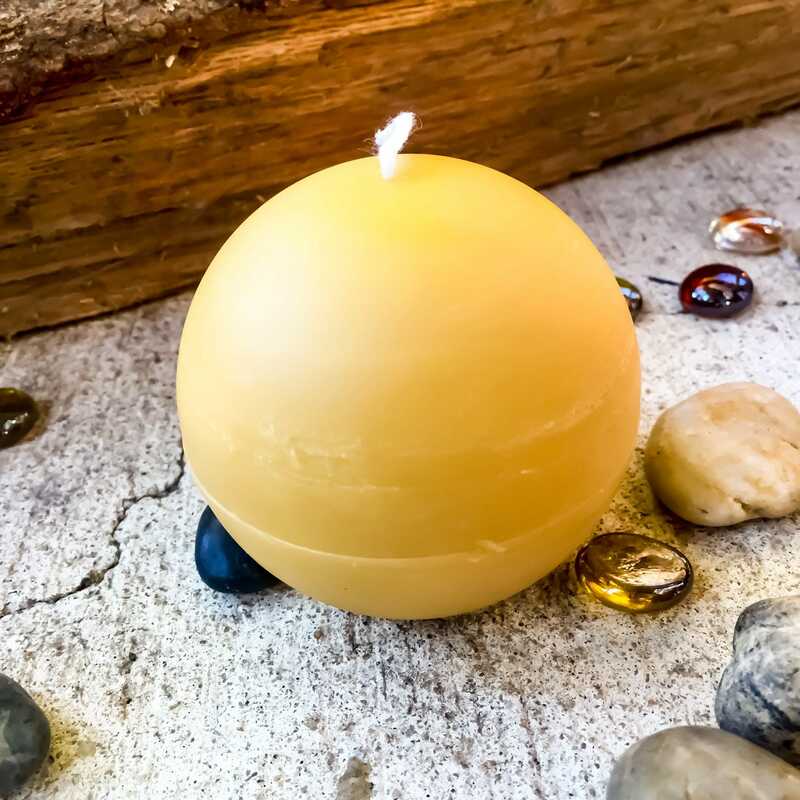 This candle is unscented other than the natural scent of warm honey. 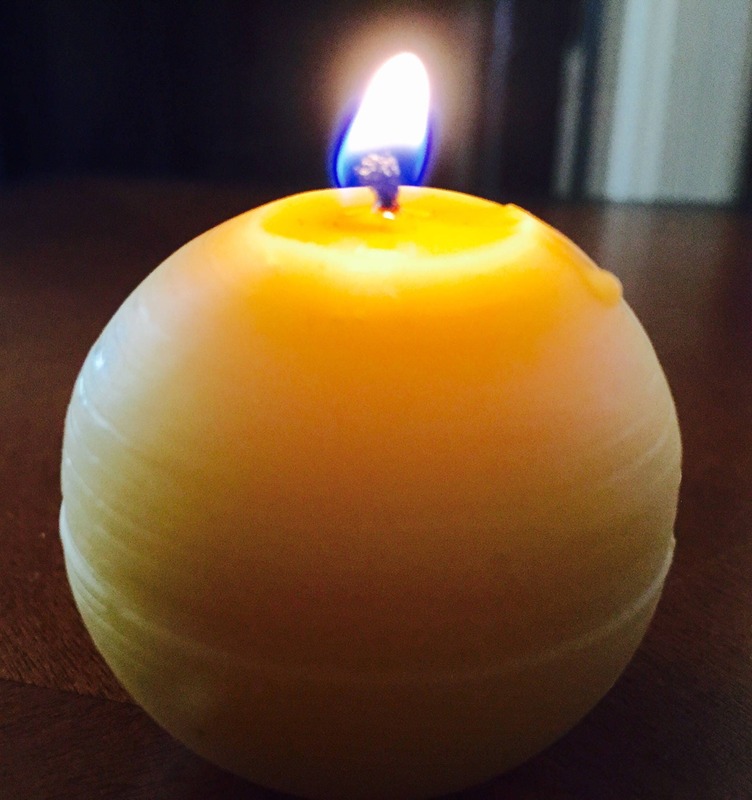 It is 2.5"x2.5" and the beeswax doesn't drip so no container is necessary. 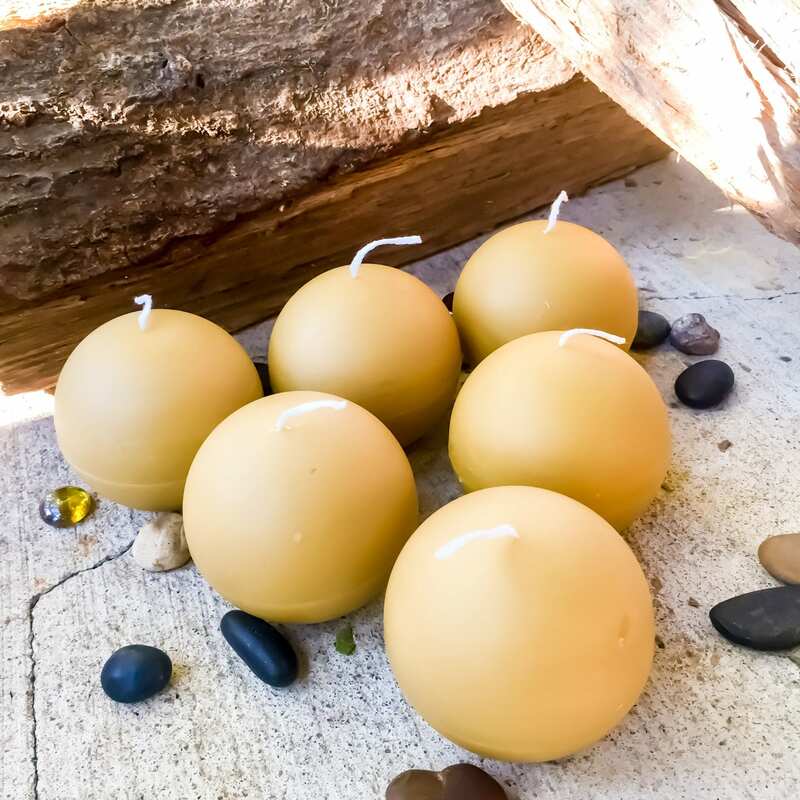 You can put them on your dinning room table and light them and never worry about a waxy mess on your table. 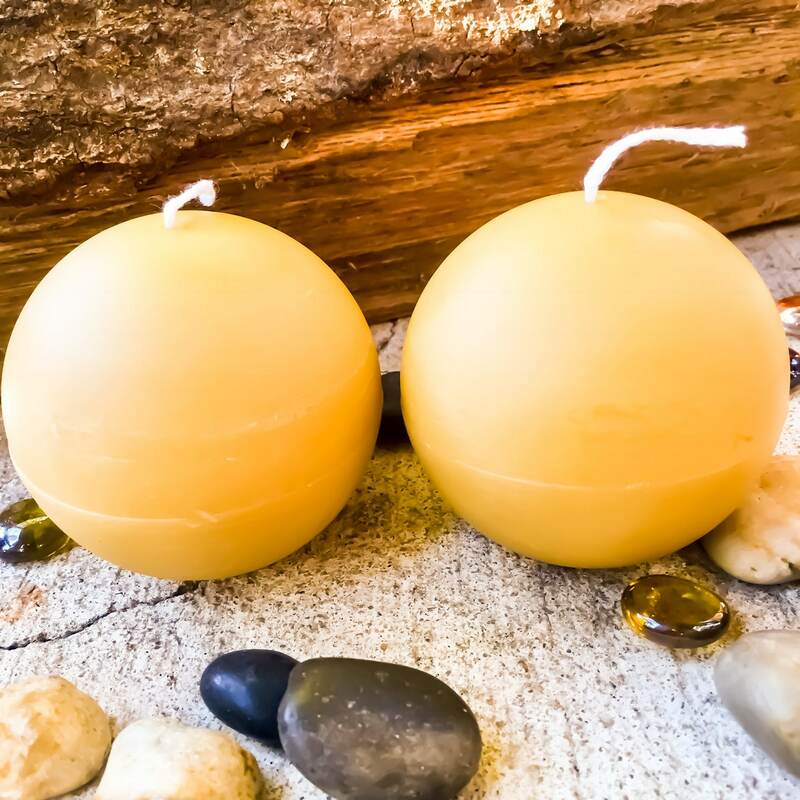 My handpoured candles are 100% natural. 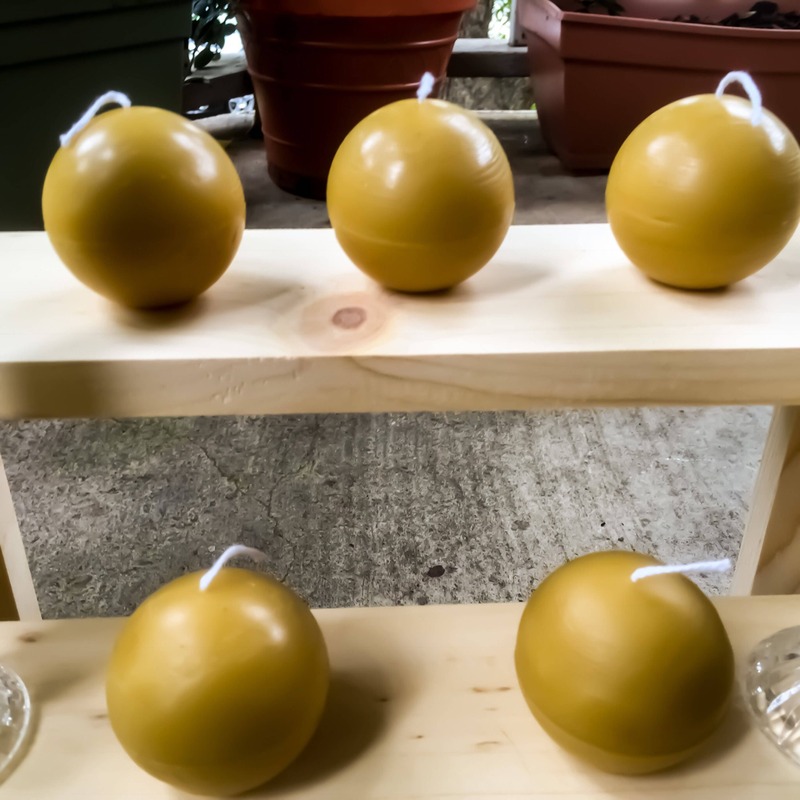 While I add no artificial dyes or perfumes (which could cause harmful allergic reactions) the golden wax has a natural, light honey scent. I like the natural Honey scent of the beeswax. 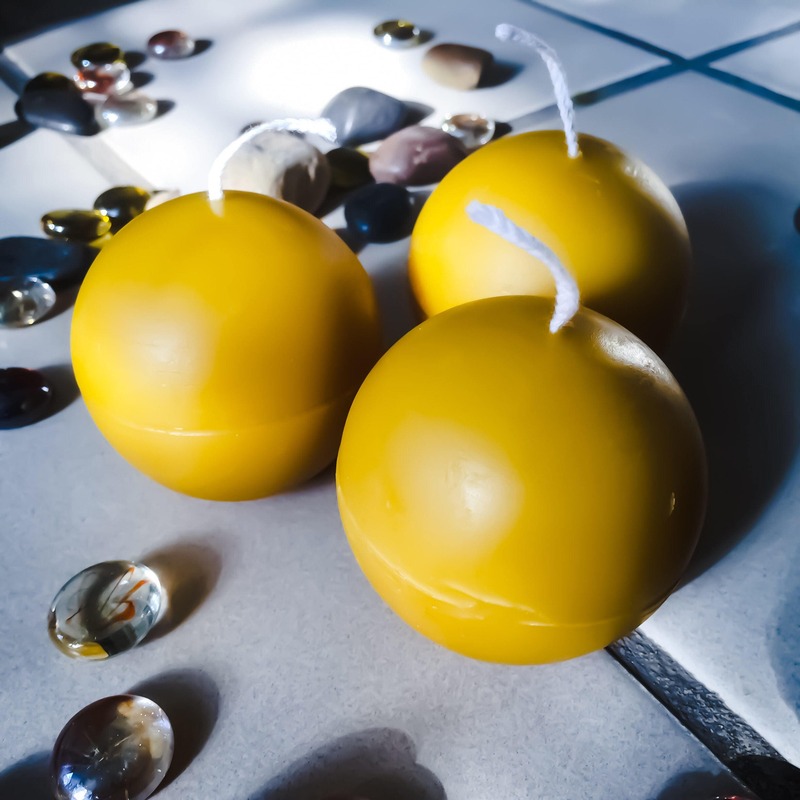 But if you're interested in scent, I've found some very delicious scents that go great with my 100% Pure Beeswax. 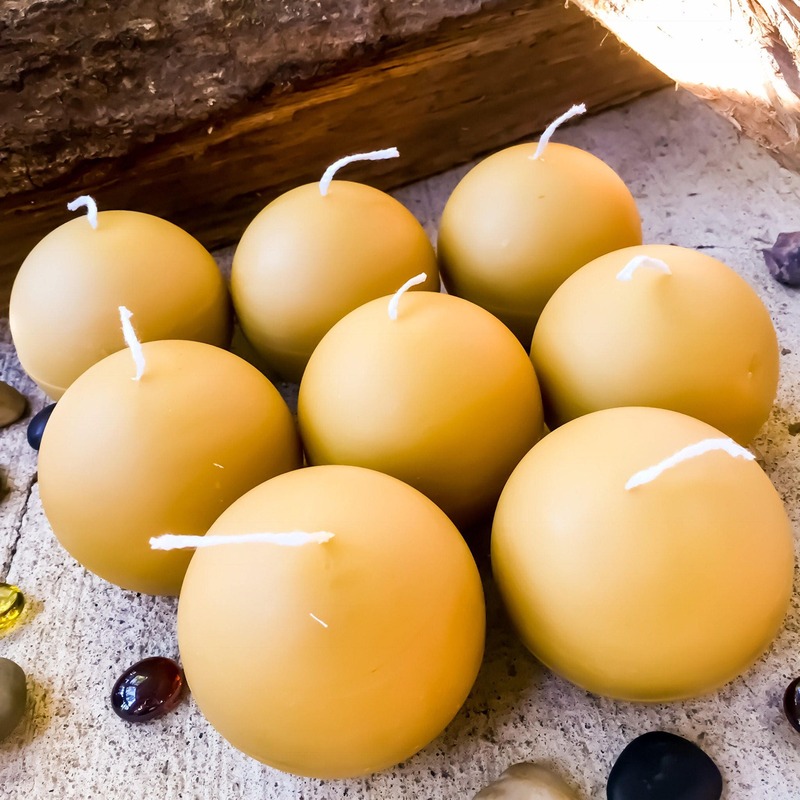 These candles smell great right out of the box and burn beautifully. They are a natural smoky yellow color. 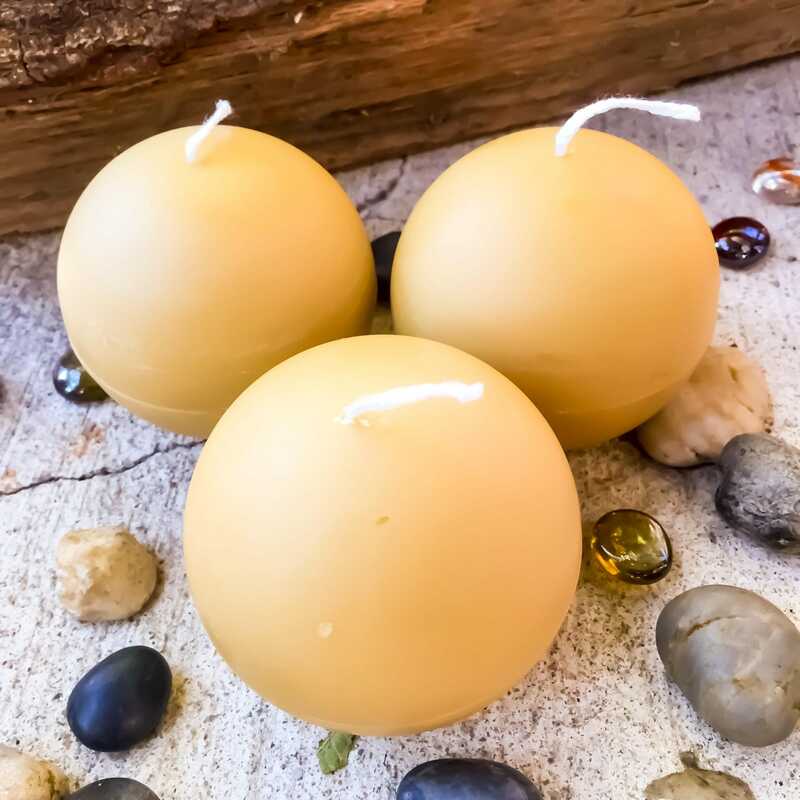 Buyers should pay attention to the measurements, these are smallish candles. Exactly what I expected but not the typical round candle size. I'll definitely be buying more. 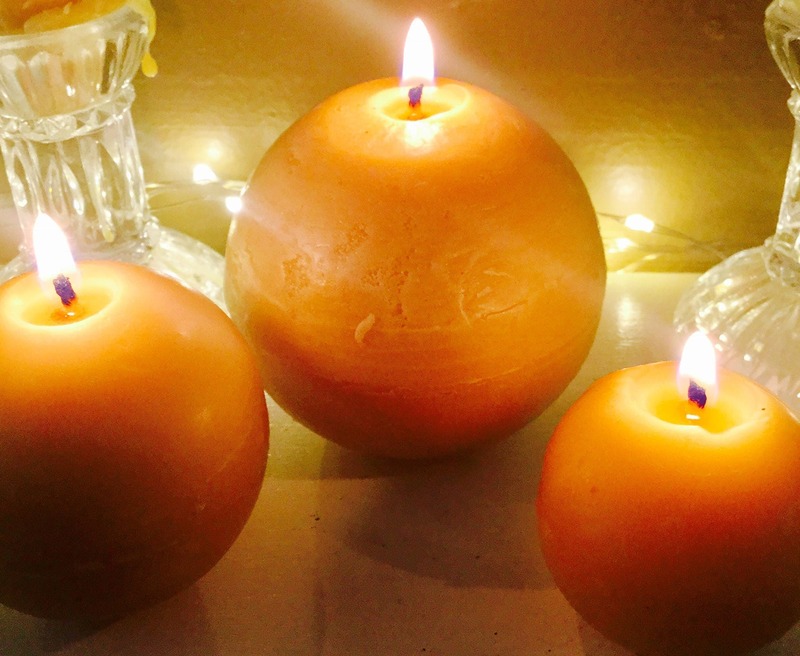 I love the shape of my candles and the smell ...so yummy!! Thank you for the extra goodies!! The smell is ahmazing!!! Shipping was very fast a wrapped carefully! ! So awesome! !